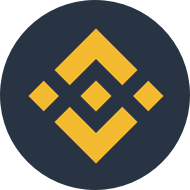 Tell us what you like and dislike about Binance. Help others make more informed decisions based on your insights. Easy to use interface, very user-friendly. Straightforward system. I would love to see more coins available to use and a better fee statement. Very fast, easy to use, secure, large community, and a long history and track record. iOS app could be improved - doesn’t work well outside of Asia. I love the fact that Binance seems to have the most diverse array of cryptos available for exchange anywhere I’ve seen. The UI is very VERY busy and can be difficult to navigate. It needs to be simplified. I like that it is a big exhange where it is easy to find important coin pairings and there is decent volume. I also like that I have access to many useful indicators like in a full-fledged broker. Another feature that they added recently is to collect coin dust (small amounts of different coins) and convert them to their Binance coin. I think that feature is very useful so that traders do not lose that money. I would love to see a pairing of at least Bitcoin with USD, but that might be far-fetched and probably not in the hands of the Binance team. Aside from that, I would like to see an option to generate yearly reports for accounting and taxes, such as for the IRS in the same way that US brokers provide tax documents. Low barrier to entry, verification of account was seamless and quick. Large variety of coins to trade from, with decent liquidity. The user interface has not changed since its inception. I wish they would improve the experience, it still feels a little clunky. Not as smooth as Coinbase's experience. Has a native dividend paying token, nice design, clear communication from the company. What projects they list, listing fees, charity entity to skip taxes. It is easy to use once you get the gist of it. There is a large variety of currencies available and so far all of my transactions have been fast and correct. There should be more options to buy different cryptos with fiat – that would be easier than first buying cryptos and then buying other cryptos with them. I trust it. The CEO has a good vision. You can trade most relevant digital tokens. The graphic interface is complicated, still not as user-friendly as Coinbase. The fees are lower than the average especially if you use BNB as your fee token. The platform is also simple and user-friendly. It doesn't provide leverage options and the charts do not show more than 2 EMAs, for example. It also has limited options for stoploss or takeprofit actions. Since I don't live in the USA or Europe, most of the exchanges would reject me as an user. It's basically one of the only ones that would accept me as an user and charge low fees for transactions. The platform isn't the most user friendly. I've also used other like Uphold and they're easier to use. Malta-based Binance is a cryptocurrency exchange platform – and among the largest in the space. Its platform supports multiple coins, languages and devices.